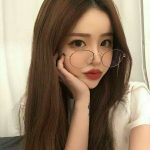 Wholesale high quality handmade Silk lashes.The lashes design is new fashion style.The new style Silk lashes can customize package,and we can provide free sample if you need.Our Silk lashes price is cheap and directly sell from our factory,our mink lashes will give you a natural,soft and comfortable experience. Package:Polybag or box ,custom packaging is available. Q: What colour are Rolex Lashes? Rolex Lashes come in different color. Q: Are the false lashes Re-usable & Stackable? Yes, all the lashes are re-useable & stackable. Q: What happens if the lashes get wet? The hand-tied synthetic lashes will be damaged and lose their shape if they’re immersed in water or other liquids. The mink lashes can be air dried and re-curled for re-use. Q: How long does it take to apply false lashes? On average it takes about 5 minutes to apply. Q: Can I apply mascara to the false lashes? Q: Can I curl my False lashes? Yes, the lashes can be gently curled. Q: How do you clean false eyelashes? False eyelashes can be cleaned with a q-tip and rubbing alcohol. Gently roll q-tip from bottom to top. Once they are air dried, put them back in its original box to avoid dust. Cleaning the lashes isn’t a must, but to prolong usage, its recommended. Q: Do the lashes come with glue? No, but any drug store eyelash glue will do. We recommend the latex free glues for sensitive skin. 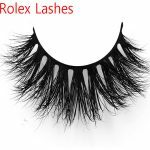 Q: Can I return my products that I bought from Rolex Lashes online to a retail Location? 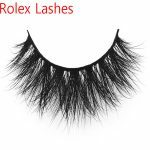 Retail locations will not accept Rolex Lashes Online purchases. Returns on products purchased in store will vary, depending on the regulations of each different retailer. Q: Can I return items purchased online? You can return items purchased online with a Return Authorization Number. We will not be responsible for original shipping costs, return-shipping costs, exchange shipping costs, or customs. Caring For Ro 3D Mink Lashes Eyelashes! As well as being a traditional symbol of femininity, womanliness and beauty, our eyelashes are used for more practical reasons, such as being the main barrier to protect our eyes from the elements and harmful substances that may try to enter our eyes. In the same way that the whiskers of silk lashes cat can sense when something is close, our eyelashes are able to sense any substance that is approaching the eye and cause the eye to close on reflex and protect itself. 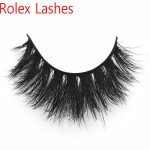 Instead of going through the daily maintenance schedule of curling eyelashes and applying mascara every day, many people are opting to have fake eyelashes silk lashes attached. False eye lashes are a very popular way to have longer and darker lashes with little hassle and maintenance. 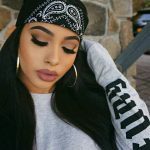 Although, false lashes require less daily care, it is necessary to make sure that care and attention is paid to them, so as not to allow any infection or rashes to occur. There are many parasites that we are aware of which live in our hair such as head lice and mites, in the same way, there are small mites that tend to settle and live in our eye lash follicles. In order to protect our eyelashes from this sort of infection, it is important to always make sure that any mascara and make up is removed fully, especially people who suffer from oily skin. If they are allowed to remain unattended, these types of parasites will cause itchiness, silk lashes rashes and skin problems. Facial skin is commonly very sensitive and needs to be looked after in order for it to remain healthy and glowing rather that itchy and sore. As our eyelashes are so close to our eyes, as well as being attached to a very delicate area of skin, they need to be kept very clean and hygienic at all times to avoid infection. It is often a good idea to purchase mascaras that are suitable for sensitive skin and try it out on your skin before applying silk lashes directly to your lashes; this will ensure that you are not going to get any irritation or unwanted reaction to the product. 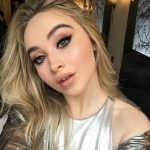 The most important thing to remember is to make sure that you remove all the mascara after use, so investing in a good quality eye makeup remover and thoroughly washing your face at the end of the day is a sure fire way of ensuring that you will remain irritation and infection free while, at the same time, having beautiful long and curly silk lashes.